This pasta is something I make often when I want something fast and fresh. 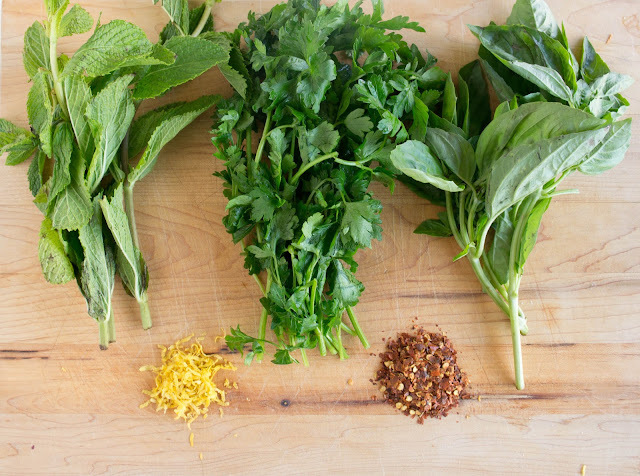 I use whatever herbs I can find at the store so the flavour is never quite the same, but always good. These are the variables. Then there are the constants. 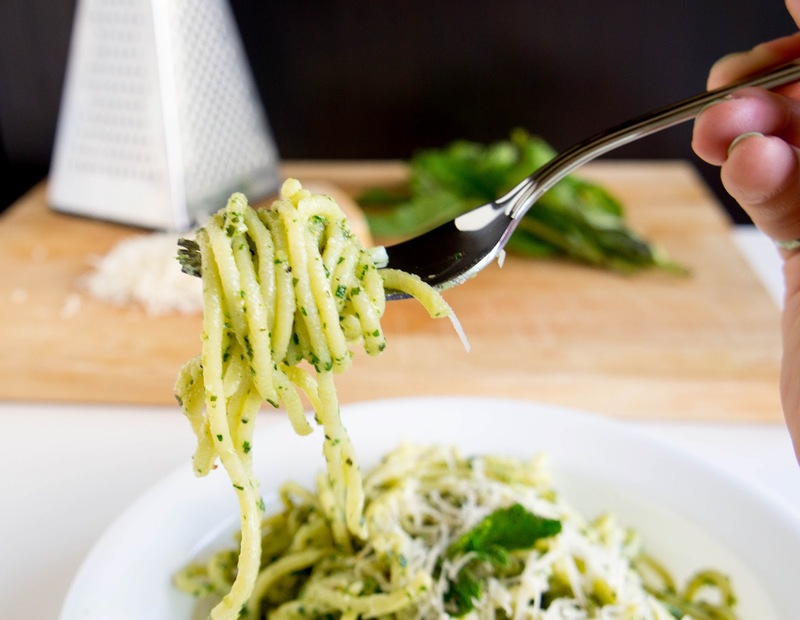 Lemon zest makes the pasta bright. Red pepper flakes give it a bit of spice. Garlic, almonds, and olive oil, give it texture, body, and round out the flavour. This meal comes together so easily. Splash in a bit of pasta water to make adjust the consistency until the pesto coats the pasta nicely. A shared pale ale from a local brewery, a plate of herby pasta, some warm focaccia, and a sigh as we sink into the couch to enjoy, over the latest episode of Game of Thrones. 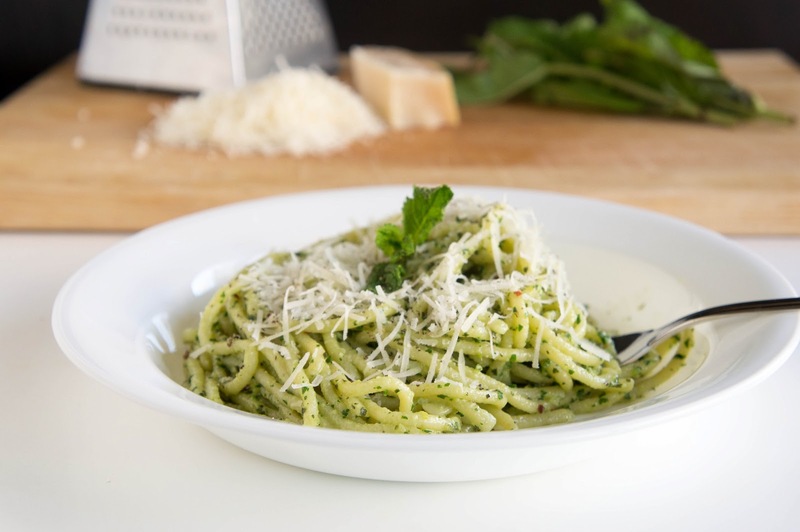 Put all pesto ingredients (herbs, almonds, zest, flakes, garlic, and olive oil) into a food processor and process until a thick sauce is formed. Salt to taste (remember it has to flavour all the pasta!). Add a bit more olive oil if the pesto is too thick. Cook pasta to al dente in plenty of salted, boiling water (usually about 7-8 minutes, but it depends on the thickness). Save some pasta water before draining. 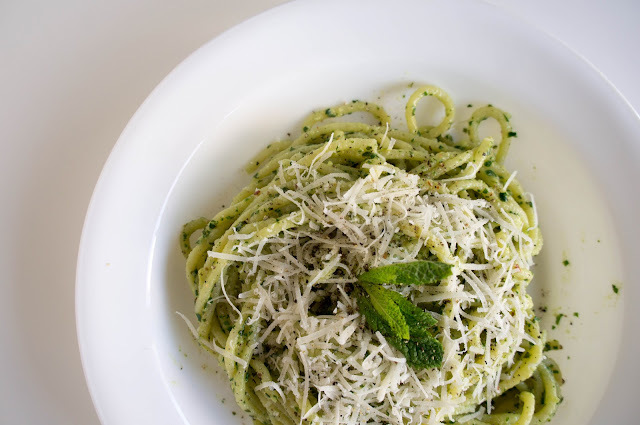 Drain pasta and combine with pesto and enough pasta water so that each noodle is nicely coated. 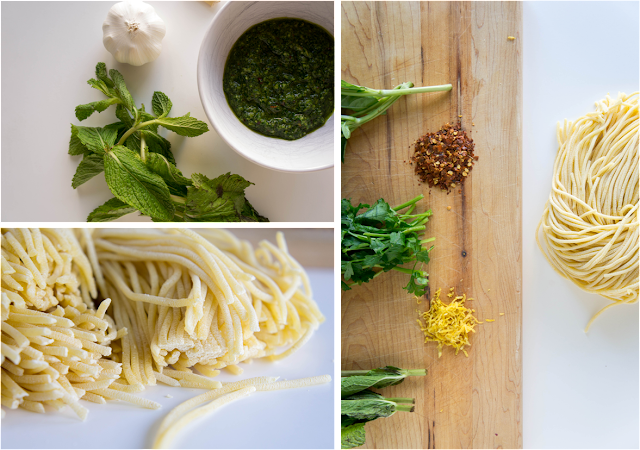 You may not need to use any depending on the initial consistency of your pesto. Serve with freshly grated parmesan cheese and freshly ground black pepper.